It's never fun to need an attorney, and I couldn't have found a better one. Set realistic expectations and then she exceeded them beyond anything I could fathom. 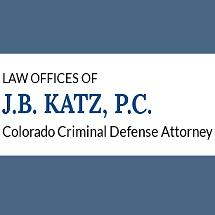 If you need an attorney in the Colorado high country, look no further. Highly, highly recommended! I could not be happier with how JB Katz handled a situation with my son who recently graduated college. He had mistakenly missed a court date in Breckenridge so he immediately had a warrant out for his arrest. JB Katz handled my extremely nervous son with amazing ease. She took his call late on a Thursday and was able to have the warrant dismissed by the end of the day on Friday. Timing was particularly important because he had tickets to leave the country on Saturday and did not want to have to cancel his trip. KB Katz was super fast, extremely patient, very reasonably priced, and secured us the perfect outcome. I highly recommend her! Thanks Kimberly. I’m glad to have been able to help.